Orlando mass shooting: Who were the victims? With details emerging about the man behind the worst shooting on American soil, the group No Notoriety is doing what it can to limit his name and photos in news coverage. Omar Mateen, 29, was identified this weekend as the person responsible for the massacre at a gay nightclub in Orlando that resulted in 50 deaths, including his own. As media outlets disseminated photos of the gunman, No Notoriety urged restraint. "Keep focus on our fallen, injured & heroes," the group tweeted Sunday. "Their lives & stories matter most. The FBI will handle the coward." FBI Director James Comey made a point of not using Mateen's name during a news conference on Monday. "You will notice that I'm not using the killer's name, and I will try not to do that," Comey said. "Part of what motivates sick people to do this kind of thing is some twisted notion of fame or glory, and I don't want to be part of that for the sake of the victims and their families." The No Notoriety group was founded in 2012 by Caren and Tom Teves, whose son Alex was killed in the Aurora, Colorado movie theater shooting that year. The couple was driven by frustration over the coverage of that atrocity when, in the immediate aftermath, they turned to the news media for information. "We learned nothing about the victims," Caren Teves said. "We learned nothing about how to find out about the victims." The subsequent coverage of the shooting, littered with explicit and photographic references to the perpetrator, left them even more incensed. They recall one story that named the Aurora gunman roughly 40 times. "We just realized that the news is more focused on these horrific people than the victims," Caren Teves said. No Notoriety wants the media to follow its proposed guidelines -- whether the shooter is motivated by a personal grievance or, in the case of the Orlando shooting, Islamic extremism. Teves is on vacation at the moment, so she hasn't seen that much coverage of the Orlando shooting. But supporters of her group have responded to the massacre by using the #NoNotoriety hashtag on Twitter to call out news organizations that have broadcast images of the perpetrator. Mass shootings have long been met with calls to limit exposure to the offenders. Critics assert that a saturation of news coverage may inspire others, pointing to studies that show mass killers are often motivated by fame. But many journalists object to the idea of withholding facts from a high-interest news story. 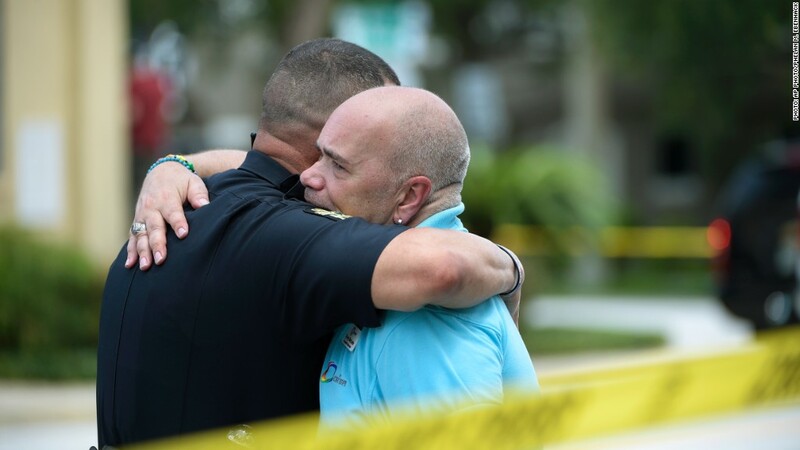 Kelly McBride, a media ethicist who serves as vice president for academic programs at the Poynter Institute, wrote last year that naming the individual behind a mass shooting provides "important context for the backstory," helps "identify trends" and "prevents misinformation." The group also urges outlets to refuse to broadcast or publish "self-serving statements, photos, videos, and/or manifestos made by the individual." "Please, tell all the facts," Teves said. "We need to know the background about these individuals. Please, explore every nuance of this individual. But we don't have to give them glory." "I've told journalists, go back and re-do your article. Replace the name with 'shooter' or 'perpetrator,'" she added. "You'll have all the same facts, but you will not be lending notoriety to the individual." Teves often wonders what would have happened had the protocol been followed after the 1999 shooting at Columbine High School. Those killers, she said, "have inspired many, many evil individuals." As Teves sees it, the public is on her side. She said the No Notoriety campaign has transcended political boundaries, drawing support from people on each side of the gun debate. "The only people who have a problem with it are the media," Teves said.